Two Marshall (Texas) Longhorns football players took a break during a 2016 practice. The research, conducted by Boston University’s Chronic Traumatic Encephalopathy Center, provides the most powerful evidence to date that playing contact football before age 12 may cause brain changes throughout life. “This study adds to growing research suggesting that incurring repeated head impacts through tackle football before the age of 12 can lead to a greater risk for short- and long-term neurological consequences,” said Michael Alosco, the study’s lead author, a postdoctoral fellow at Boston University School of Medicine. According to the Sports & Fitness Industry Association, 1.23 million children between the ages of 6-12 played tackle football in 2015. A look at the findings and methodology of a new study linking youth football to a greater risk of future health problems. The new study says the consequences include behavioral and mood impairments such as depression and apathy. The study follows previous findings that brain damage can result from repetitive head impacts, regardless of whether the blows cause concussions. The paper’s authors said they believe they are the first to study both former amateur and professional players and discover a link between children under 12 playing football and clinical dysfunction. They said the outcomes were similar regardless of how many years the participants played football or the number of concussions they reported. 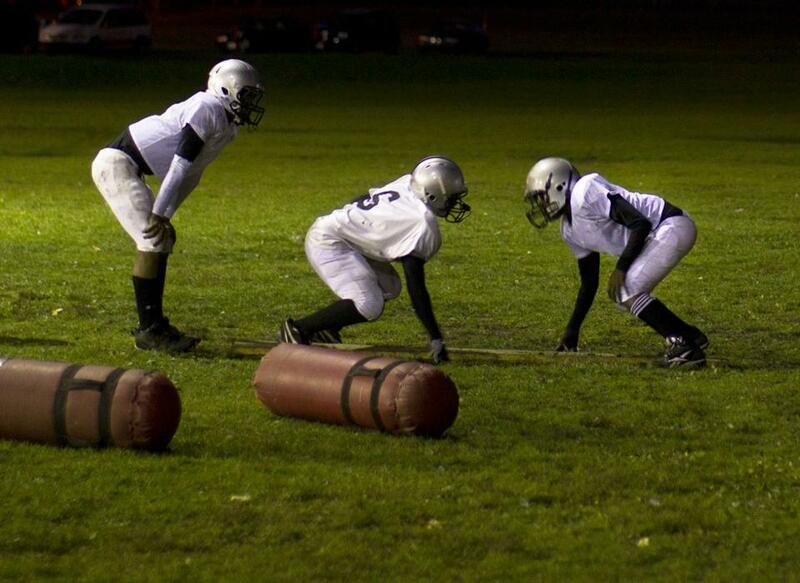 They also found that the younger the players were when they began playing tackle football, the greater risk they faced of developing problems later in life. Researchers examined 214 former football players who did not play any other organized contact sports, including 103 who played football only through college and 43 who played only through high school. The 68 others played in the National Football League. Their average age was 51. The findings follow a BU study in 2015 that focused only on former NFL players. In that study, those who began participating in tackle football before age 12 were found to have worse memory and mental flexibility than those who waited to play until they were at least 12. 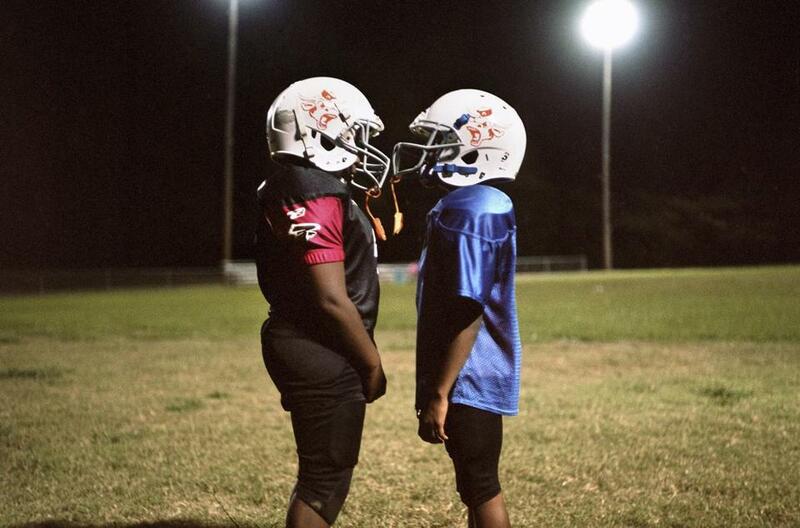 Neurologists say the brain undergoes a stage of peak maturation between the ages of 9 and 12 — a period when children who play tackle football experience a median of 252 head impacts per season, according to a separate survey. The broader study published Tuesday comes as parents seem increasingly concerned about whether to permit their young children to play tackle football. In a national survey completed in August by the UMass Lowell Center for Public Opinion, 53 percent of adults said they believe playing football is not safe for children before they reach high school. Dr. Robert Cantu, who helped author the new BU study, has long cautioned against children playing football before age 14 because their brains are not fully developed. Cantu, a neurosurgeon who teaches at BU, has studied head injuries in sports for decades and is the cofounder and medical director of the Concussion Legacy Foundation, as well as an adviser to the NFL. Notable among the NFL stars whose parents have shared Cantu’s health concerns is Patriots quarterback Tom Brady, who was not permitted to play tackle football until high school. Numerous Pro Football Hall of Famers, including Terry Bradshaw, Troy Aikman, and Brett Favre, also have said they would be reluctant to let their young children play tackle football if they had kids that age. The research for the study released Tuesday was supported by a variety of sources, including the National Institutes of Health and a grant from the Concussion Legacy Foundation. The 2016 study argued that BU’s findings in 2015 were limited by a variety of factors, including a small sample size. 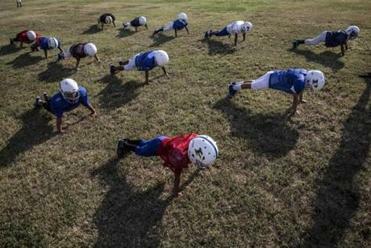 The major youth football organizations have taken numerous steps to improve safety since the damage caused by head blows in football began commanding national headlines and driving down participation among children nearly a decade ago. Dr. Julian Bailes, an early researcher of CTE and the current medical director for Pop Warner football, has decried what he has described as the “near-hysteria’’ over head injuries in sports. Bailes, speaking to reporters in 2015, cited the rule changes in youth football aimed at making the game safer. “With the changes that have occurred to reduce or eliminate head contact in practice and to eliminate open-field, direct-head hits, I think that football is safe as long as the players and their parents understand the risk and the pros and cons, the benefits and potential risks of participating,’’ Bailes said. None of the studies addressed the possible of risks of children developing CTE, a neurodegenerative disease that can only be diagnosed postmortem and has been found in the brains of many deceased football players. Stern, a professor of neurology, neurosurgery, and anatomy and neurobiology at BU, as well as director of clinical research for the school’s CTE center, praised the health and social benefits of children participating in active team sports, including flag football. Stern said the BU center will continue participating in a $16 million, long-term study, funded by the NIH and National Institute of Neurological Disorders and Stroke, aimed at better understanding the clinical implications of head impacts in football and finding a way to diagnose CTE in the living. Bob Hohler can be reached at robert.hohler@globe.com.